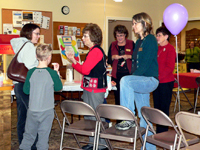 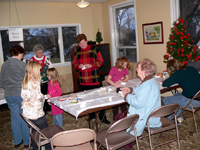 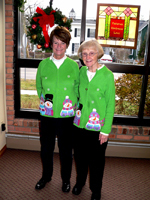 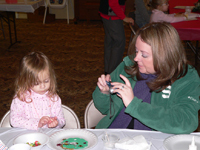 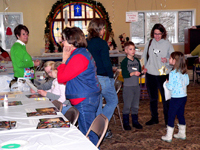 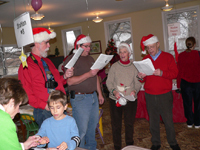 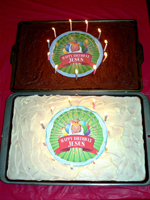 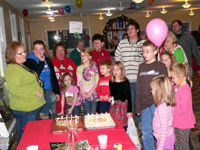 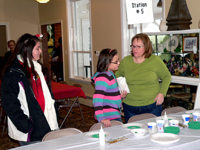 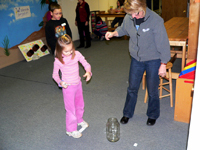 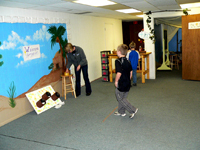 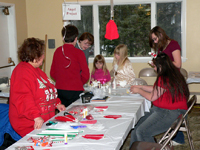 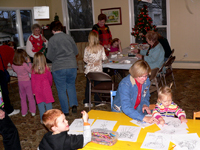 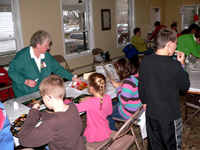 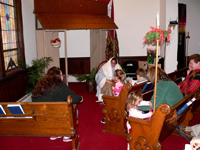 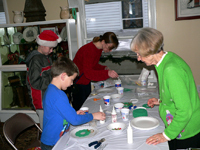 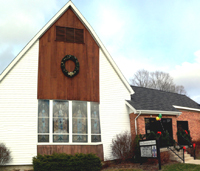 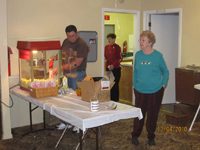 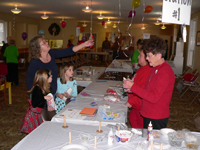 The Family Christmas Fair took place Saturday, December 4th, from 2 - 5 p.m. 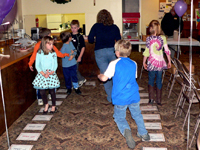 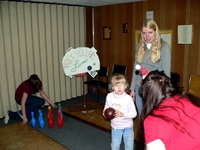 There were games in the basement Sunday School area while the Fellowship Hall was filled with both games and projects for young and old alike, plus an area devoted to filling Christmas stockings for the needy. 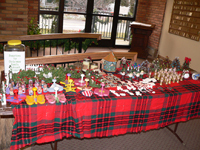 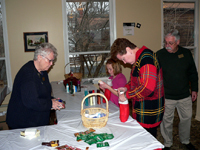 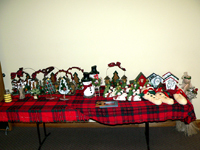 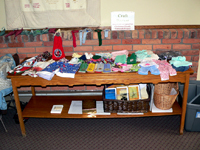 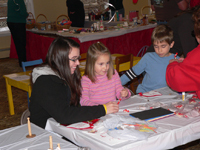 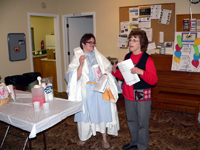 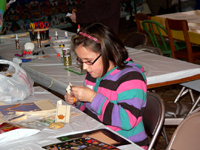 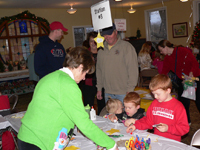 The Narthex was filled with crafts for sale, with the proceeds going to help families in need in the Holly area. 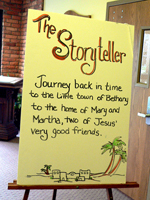 Terri Webner once again did a wonderful job as the storyteller. 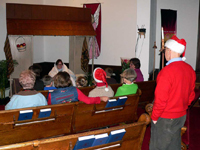 The sanctuary was offered as a place of quiet for those who wished to pray and to light a candle to remember others during this Christmas season. 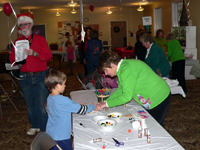 A special thanks to Judy Studer and her committee for working so hard both with planning and manning the booths so as to make the Family Christmas Fair a success once again. 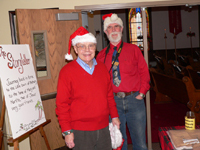 And thanks to Jim Lyles and Gordie Bradshaw for the great pictures you see on this page.